Memories. They bring people, laughter, feelings, places, and events altogether to construct a part of your past and even present. I could close my eyes and go back to the good times or make the bad times good. Wait, I have an idea! Let’s do this together. 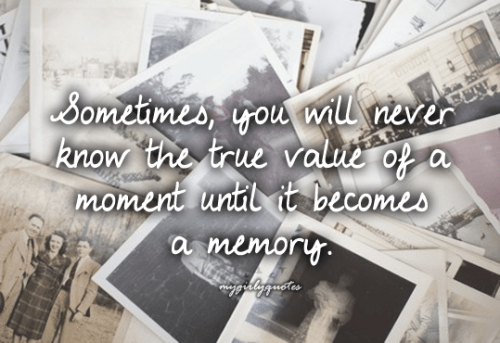 Memories; think of your family, friends, or even strangers and the experiences you shared with them. 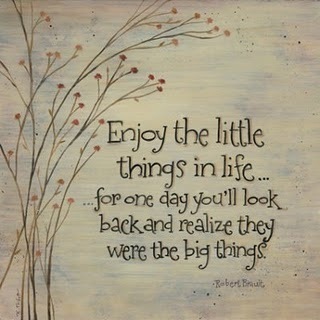 You just got a small essence of your life, am I right? AND it felt good. Now, I want you to think of a specific memory. It could be anything, as small as a sentence that somebody said that stuck to your mind or as big as a period of time which was special to you. For example, right now I can’t help but think of the countless hours I spent on the bus with my friends in France. (Cultural trip!) I play the songs we used to play on the bus and a lot of things just come back to me. I’m also thinking about my little cousin. She’s 6 and she’s turning 7 next month. I remember when she was telling me about her “boyfriend” and how he kissed her. I don’t know. Sometimes I get lost in the past and can’t live in the present. But I love it. I love looking back at things. It gives me strength and happiness. Okay. Do you have your memory yet? If you’re having a tough time finding one (although I don’t think you shouldn’t), listen to music or look at old photos. They’ll draw a smile on your face!